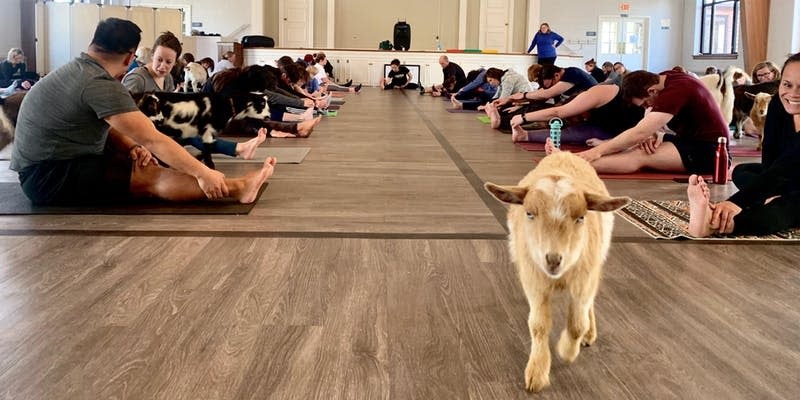 Get away from life's hustle and bustle and join us for goat yoga at Greenhill Winery & Vineyards in Middleburg, VA, where breathtaking vistas of the Blue Ridge Mountains and surrounding countryside appear from every vantage point. 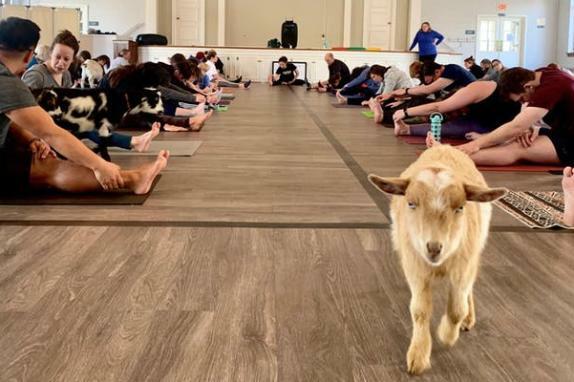 Enjoy an hour of mellow goat yoga, appropriate for all-levels, with small breed and baby goats visiting from Walnut Creek Farm in Roanoke. After practice, you can enjoy $10 mimosas in the tasting room, or take a horse drawn carriage ride around the property. Greenhill's resident mini-horses, Contessa and Dutchessa, will be there for a meet and greet! The Holy Crepes foot truck will be onsite if you'd like to stay for lunch! This event benefits the Visit Loudoun Foundation, a non-profit whose mission it is to support and broaden the health and prosperity of the hospitality and tourism industry in Loudoun County through providing scholarships, as well as coordinate/support educational programs, pursue market research opportunities, and assist in bringing employment opportunities to the tourism and hospitality industry of Loudoun. All participants must purchase tickets in advance. Please BYO yoga mat.